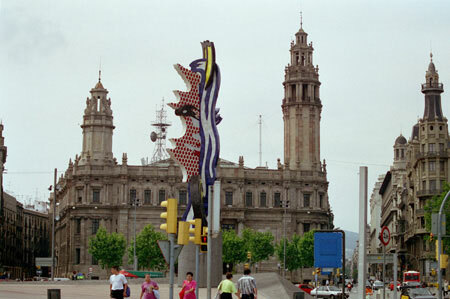 The city of Barcelona exudes art and style. 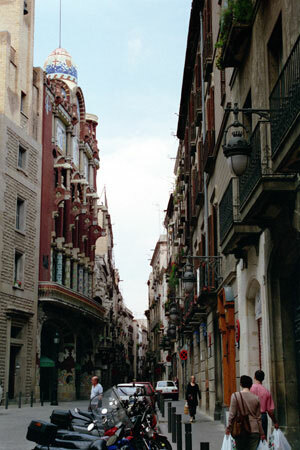 Originally a medieval city with buildings piled close together, the more recent parts have an air of elegance and spaciousness. 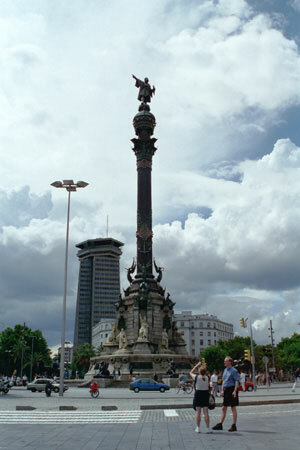 Though Barcelona made its money through mercantile activities, all you tend to see is the fruit of those labors. 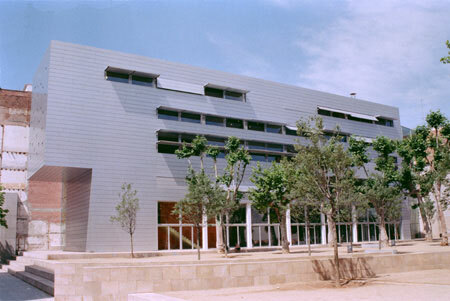 Fundació Antoni Tàpies, featuring a gallery with Tàpies, Catalunya's most well-known living painter, and other modern artists. Not only are the tufts of wire good advertising, they're practical also. No second-storey jobs here. 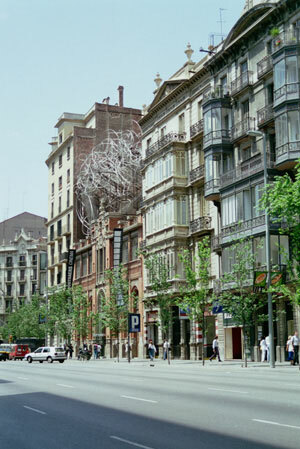 The building is by Domènech i Montaner. Designed by American architect Richard Maier. 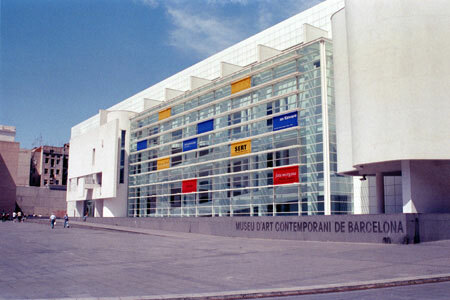 Ironically, the featured exhibit was Josep Lluís Sert, the Barcelona architect who worked for a time in New York. 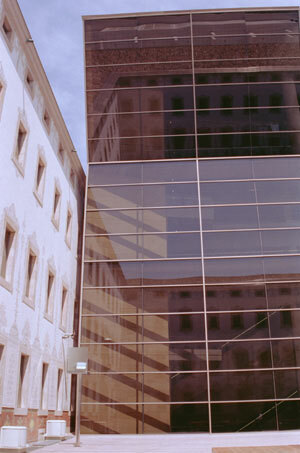 Sert was a friend of Miró. 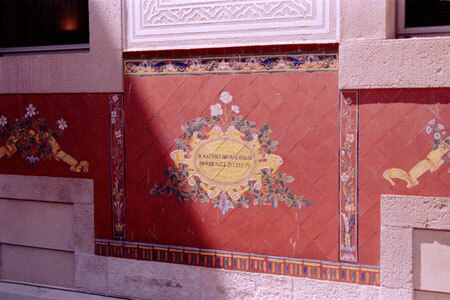 Centre de Cultura Contemporània butted against a 19th century cloister with stenciled walls. First take a look at yourself. Very well-attended in a place like Barcelona. 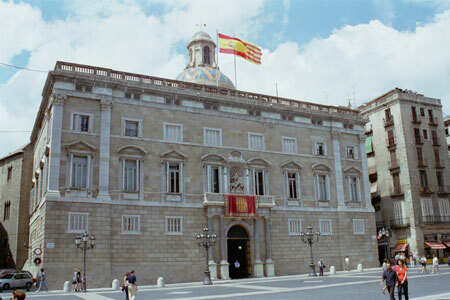 The seat of the Catalan government since the 15th century. Where mercantile loot was levied. 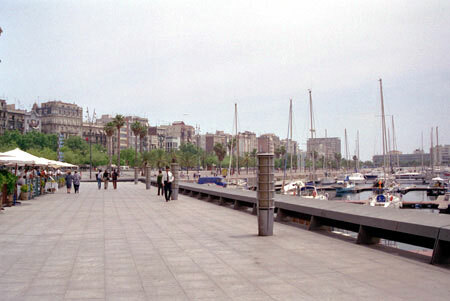 The building is labeled Port de Barcelona. It appears that the Spanish-language version was scratched out and replaced with Catalan. 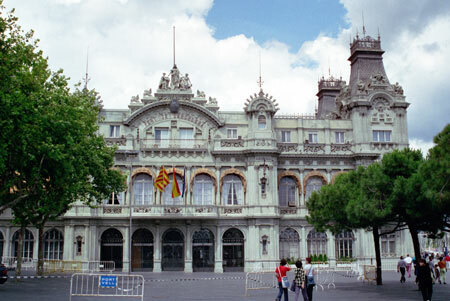 The awnings are restaurants which share the building with the Museu d'Història de Catalunya. The museum may be historical, but the restaurant prices are futuristic. I couldn't taste the gold in our paella, but it must have been in there. 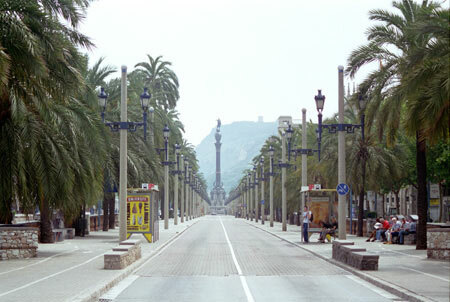 The mountain in the background, I believe, is Tibidabo. 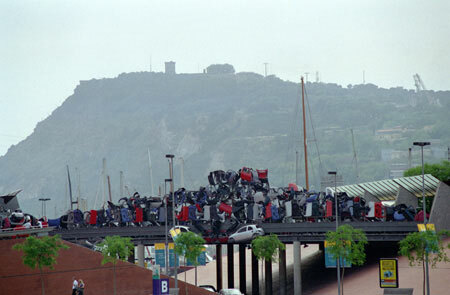 There's a cable car to get you there. Actually, he's pointing toward Italy. 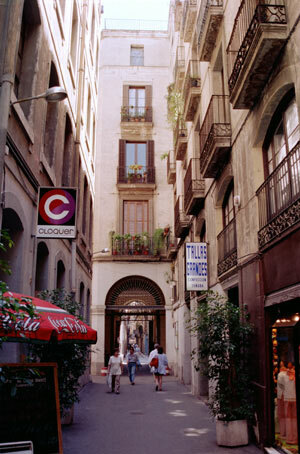 The birthplace of Barcelona architect Josep Lluís Sert, and coincidentally, the street where I stayed. The gate is locked at night, and the residents carry big, iron keys. Very close to Pasage Sert. It's a 19th-century rococo, neo-Moorish affair, with a gallery of brightly colored columns upstairs. Very nearly garish. 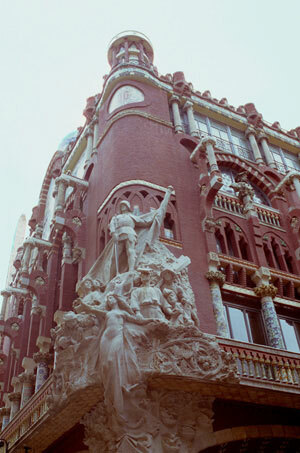 This building is also by Domènech i Montaner. This street is the space between buildings.